In high school I had a friend that wanted to be a marine biologist. She already had her school picked out down in Florida and never wavered from that desire as long as I knew her. We ended up at community college together, and even then her plan was to finish her 2-year degree and transfer down south to finish up. I was always impressed that she had her life planned out and kept to the same plan for so long. Thanks to Facebook, we reconnected a few years back. Sadly, she never made it to Florida. Instead, she chose an extremely rewarding career as an elementary teacher in the Chicago suburbs. Knowing her personality, this was a perfect fit. Although I have to wonder if she could have made a difference in the marine world if she had followed through with her passion. This girl woman came to mind again the other day when I was playing a new game by Sphere Games called Mini Diver City. 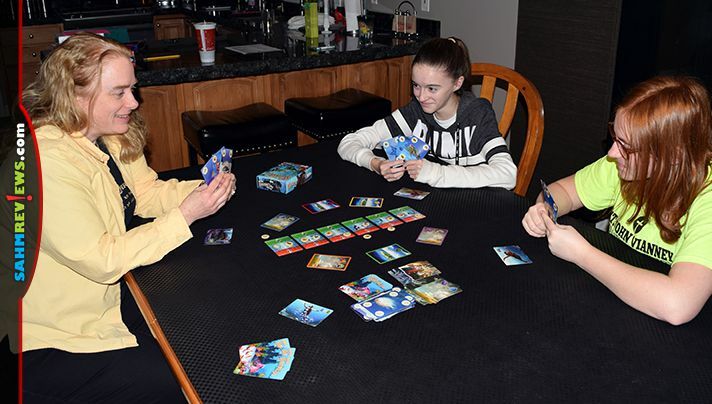 It’s an affordable card game that is also cooperative (we LOVE cooperative games)! You and up to six other players are trying to prevent the destruction of coral reefs and their associated wildlife by corporations and their developments. Only by careful planning and a bit of luck will your team be successful. Inside the travel-friendly box are 107 playing cards and 12 Species Tokens. There are a total of five types of cards – Species, Corporation, Diver, Scale and Hotel. 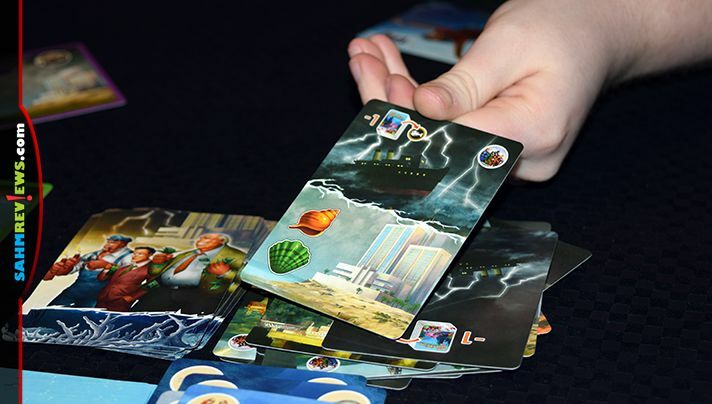 The Species and Corporation cards are shuffled into individual stacks and placed in the center of the play area, within reach of all players. 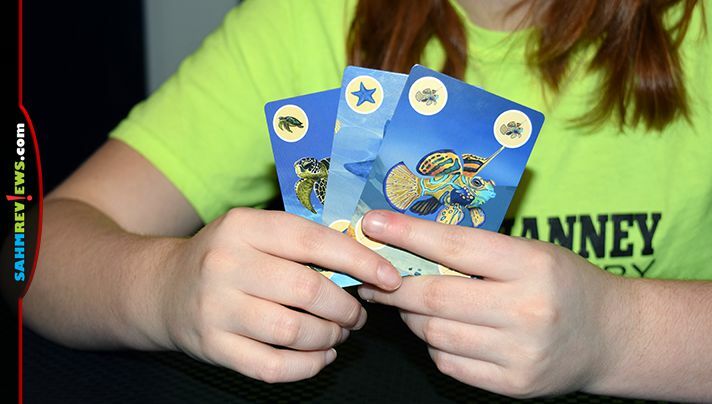 The six Scale cards are set out in a row and depict the twelve different species of animals you are trying to save. A Species Token is placed on top of each depiction and will be used to track your progress. The six Hotel cards are laid out around the Scale cards and placed with the island side facing up (the hotel hasn’t been built yet). 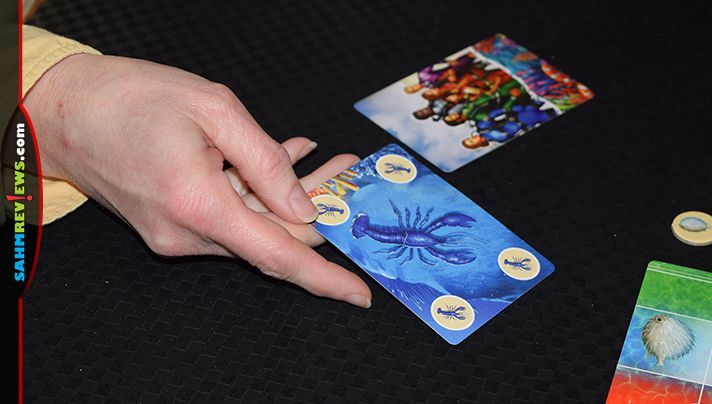 All players receive a Diver card, either randomly or by letting them pick their favorite. This is the character they are playing as and each one has a one-time action they can take at any time during their turn. Lastly, all players are dealt three of the Species cards face-down. Players never look at their cards, instead they hold them with their backs towards them. This allows everyone else to know what they have and hopefully make decisions about what to do next based upon this information. If you’ve ever played Hanabi, this method is very similar. 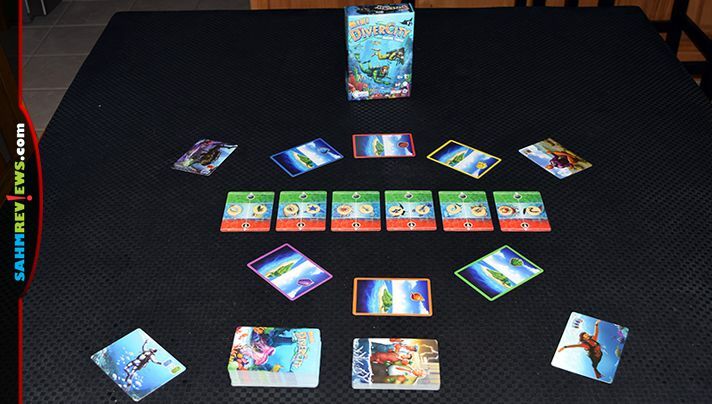 Mini Diver City is played over a number of rounds, with each round consisting of two parts. First, the Corporations take their turn by turning over one of the Corporation cards and resolving its effects. These are always detrimental to your team’s progress and inevitably come at the wrong time. They either cause a species to move closer to extinction or have you flip one or two Hotel cards to show their completion. Once you have finished taking whichever action the Corporation card calls for, the active player takes a turn. 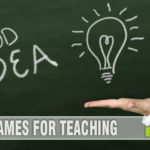 On a player’s turn, they can choose to take one action from a list of three possible choices. First, they can play a Species card from their hand without looking at it and turn it face-up onto the table. The card will depict one of the species, and its corresponding Species Token is moved one space towards the green side, meaning its survival. This card is discarded and a new one drawn to the player’s hand (without looking) in its place. Instead of playing a card, you can elect to tell one other player exactly what species they are holding in their hand and on which card(s) they appear on. A player’s third option is to discard one of their Species Cards (again, without looking) to flip one Hotel card back to the island side. After the active player takes their action, the player to their left becomes the active player and a new round begins with the Corporations taking their turn again. 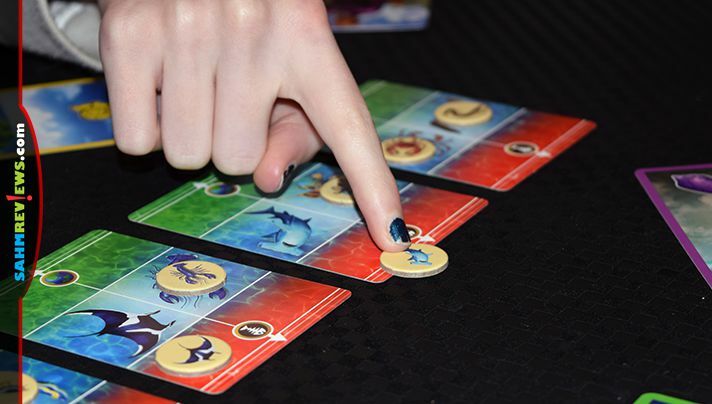 All players of Mini Diver City may never talk to one another about strategy, give hints about what cards they see (unless as part of their player action) or otherwise encourage how a player takes their turn. 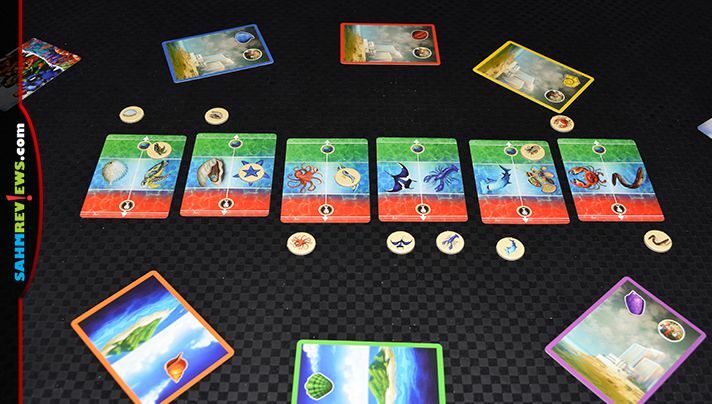 At the beginning of the game players will agree upon how many species they wish to save in order to be considered a win. This ranges from the easiest (5) to the hardest (9+). 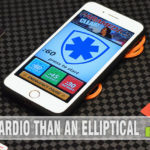 This difficulty level not only sets the species requirement, it also sets the criteria for how many species going extinct would cause the game to end with a loss (easy = 5, hard = 3). Of course, you can also lose by allowing the Corporations to take over by building all six hotels! 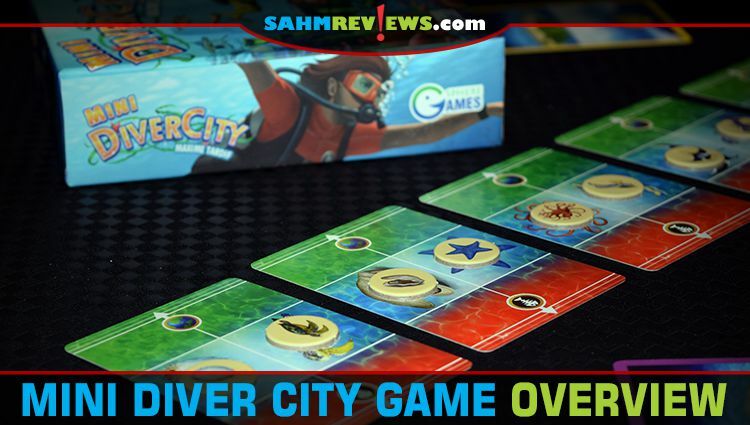 We found Mini Diver City to be a challenging cooperative game that reminded us of a couple games but was still different enough to warrant inclusion into our collection. We were able to tackle the easiest level without much difficulty, but the harder ones were unattainable for us (yet!). When played with the full compliment of players however, it was a little to frantic. We feel the sweet spot is in the 3-5 player range. 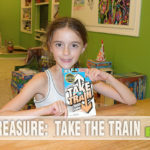 Ask for your copy of Mini Diver City at your favorite local game store (tell them they can order it from Publisher Services, Inc.) or pick one up on Amazon for under $20. 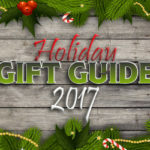 See what else Sphere Games has to offer on their website or follow them on Facebook and Twitter to find out what’s on the horizon! Did you end up going to college for what you thought you would in high school?